Burglaries are not necessarily related to the size of homes. Anyone can get robbed at any point of time, irrespective of where they live. Without a security system in place, any home can become vulnerable to burglars. So, companies that are into selling home security systems can find customers in any part of the world. Home security companies that have their own stores can get listed on the local business directories. Any person who uses the directory to search for home security equipment would be directed to the store by the service. Search engines like Google, Yahoo and Bing also have their business directories on which such companies can get listed. Most of the searches that happen in today’s world happen through smart phones. This is where it becomes very important to have a mobile friendly website, or even better, a mobile app. Home security companies can gain many customers by getting mobile-friendly websites or mobile apps developed for their business. However, this might require huge investments on their part, at least initially. By putting up subscription forms on their websites and optimizing their sites for the search engines, home security companies can get their prospects offer them the details that they require. Nevertheless, it might take a while for their websites to rank high on the search engines. Furthermore, they also need to figure out ways to compel their visitors to subscribe to their services. 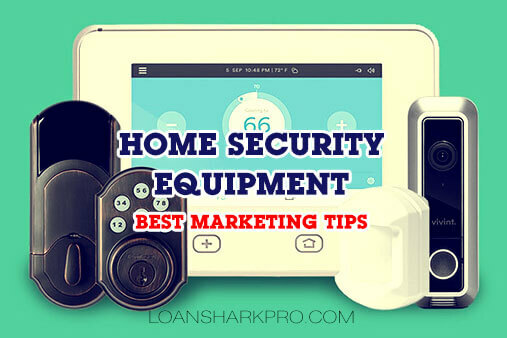 Buying home security leads from professional lead generating firms could be the easiest and the best way to obtain details of people who are looking for home security equipment. These firms usually verify and update the details of such leads before selling them. Through home security live transfers they go one step ahead and transfer the live calls to their clients. Home security firms should make it a point to conduct an extensive market research to understand what the expectations of their customers are. They will also have to familiarize themselves with the security systems that they sell. They should know how each of these work and how people can benefit by using them. Apart from this they should also be able to explain how these systems are better than those that are sold by their competitors. They will need to have all the answers for the questions that their prospects might ask them. Unless homeowners realize the need to buy home security equipment, they will not agree to purchase them. To create this need, home security firms may have to check out the crime rate of the cities that they serve and quote these statistics to the homeowners. Once they understand the gravity of the situation, they will do anything they can, to protect themselves and their loved ones. This could be a better way to make sure there is always a steady stream of prospects to buy security systems. Here home security firms will have to tie up with home insurance companies, who will in turn agree to offer discounts to their customers. Next, they will have to make customers understand how they can reduce their home insurance premiums by installing security equipment at their homes. 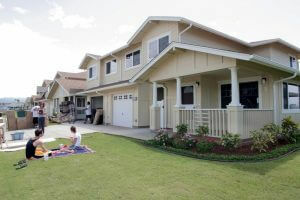 Giving the homeowners complete knowledge about the products can help in making them take informed decisions. It would be a good idea to get the product details printed to give the customers an insight into its unique features and benefits. Contact details of the home security firm have to be included in these printouts so that the customers know what they have to do, once they decide to purchase the product. User reviews can play a major role in making a personal connection with the prospects. Here the actual customers who have used the products would be doing all the talking. Not only will these testimonials clarify the queries of prospects, they will also establish the credibility of the firms that are selling these products. Leads need to be nurtured before they are converted. Hence it is very important for businesses to follow up with their prospects until they take the desired action. While cold calling is one way to do this, home security firms can also try emailing their prospects and connecting with them through social media. Attempts should be made to give them more and more reasons to purchase the products, without causing any annoyance. Obtaining the details of prospects via home security leads is the easiest part when it comes to selling home security systems. However, it takes a lot to make sure these leads get converted into sales. It is very important that home security firms do their homework thoroughly before going out there and pitching their sales. The above steps should help them carve out a road map that will take them towards their goals.